Although Lauren has been smiling for a while now, this is the first "official" one since Brian was finally able to capture it on camera. 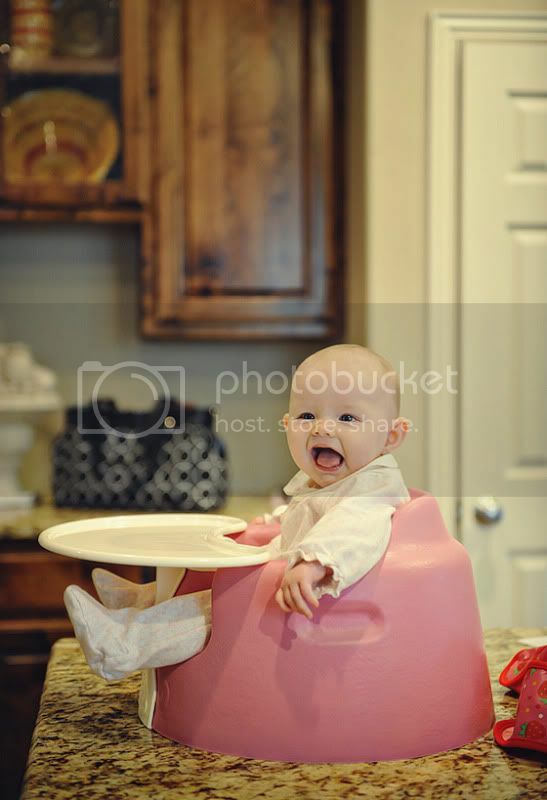 Miss Sis loves her Bumbo- I'm sure its because she has an upright and front row seat to the world all around her... And, its usually put up in a high place (the kitchen counter) and away from the grasps of her well-meaning, but extremely overwhelming sisters. Can anyone tell me when the novelty of a new baby wears off on a three and 4 year old???? I think we need to get a cat.